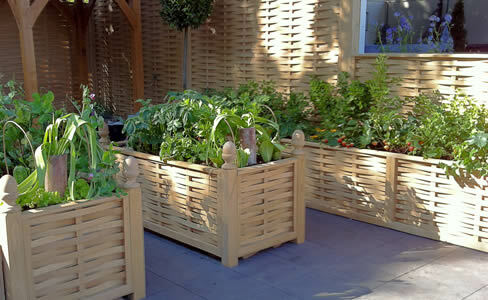 We can make a border edge / raised bed in the same manner as we manufacture the fencing. 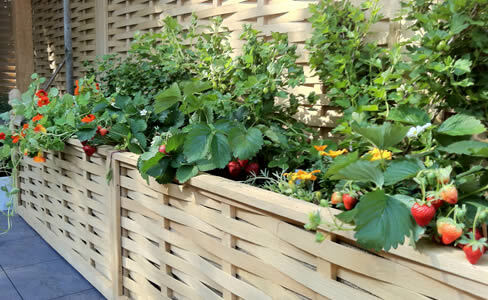 All lengths can be made specifically for your site’s individual height & width requirements, including curved corners – a great use of space in small & compact gardens such as in a vegetable garden or a school or hospital garden. Posts for support are required but planting can be done directly into the bed with no need for a base. We line the back of the panel with a damp proof membrane to help to contain the growing medium. A finial may be a useful addition as when watering, it helps to prevent the plants becoming flattened.